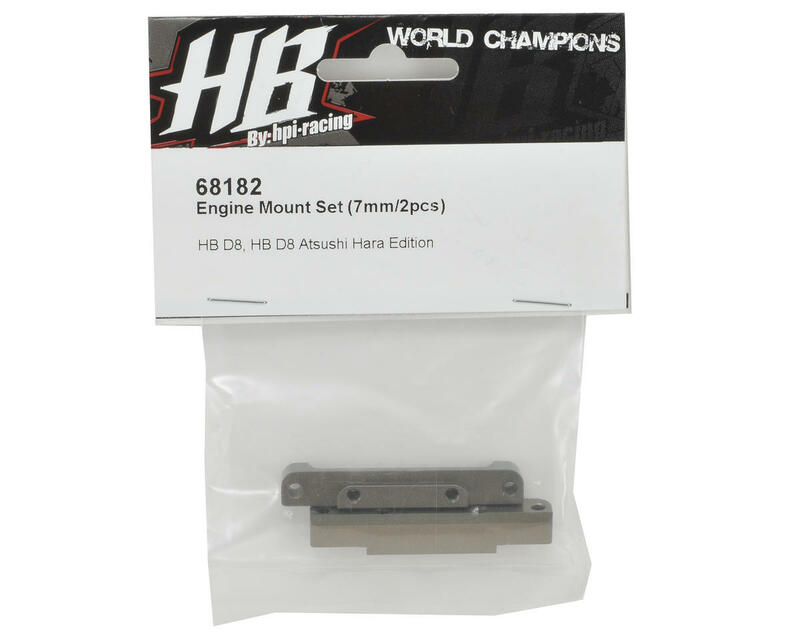 This is an optional Hot Bodies 7mm Engine Mount Top Block Set and is intended for use with the Hot Bodies D8 1/8 buggy. Ensure the proper engine height with your 3mm chassis. 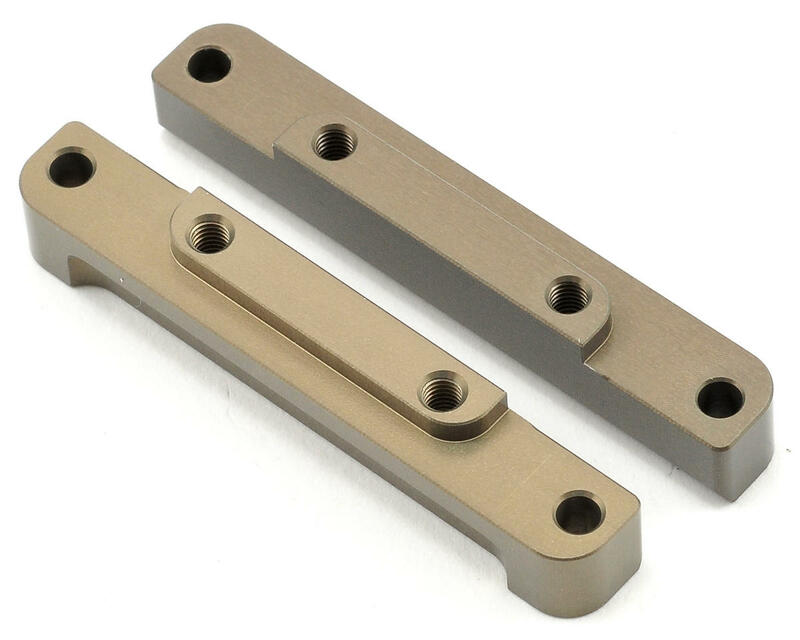 This 7mm engine mount coupled with the 3mm chassis brings the engine back to stock height. Stock chassis is 4mm and stock engine mount is 6mm.